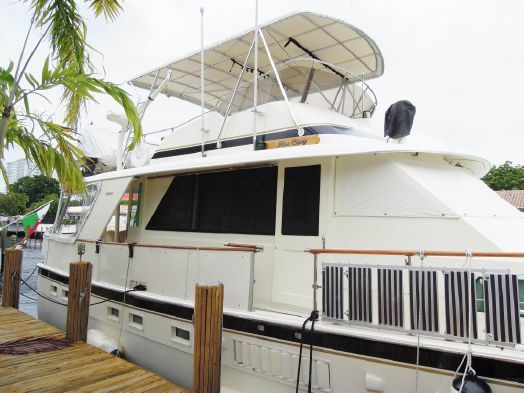 "MISS CISSY" a 1978 Hatteras 53 with low original machinery hours and recent updates is priced to sell. She has a custom interior with new caropets, custom maple and teak cabinets in the galley and a double seat for the lower helm that houses a new HDTV. "Miss Cissy" is now asking $149,000. Please contact central agent Lori Goldstein for details (954)494-9586.